Just Listed – Roswell-Move in Ready!!! Pre-inspected & updated – Amazing price for this move-in ready home in sought after Roswell School Districts! Roof replaced 4 years ago! Upgrades throughout! Inviting Foyer – Welcomes guests into your new home! Kitchen – Bright & sunny w/white cabinets, gas stove/oven, recessed lights & views of backyard! Breakfast Room – off kitchen w/bay windows! Formal Living Room – Features built in bookshelves, 2” blinds & crown molding. Open to formal dining room! Dining Room – Wainscoting, crown molding & French doors leading to deck; off kitchen; excellent for entertaining! Family Room-Generous sized room w/crown molding, 2” blinds, cozy fireplace w/gas starter & wet bar! Oversized Master Suite – HUGE room w/sitting area, his & hers closets, dental molding & ceiling fan! Updated Master Bath – Tile floor, updated plumbing &lighting fixtures, framed mirror & large tile shower! Generous Secondary Bedrooms –updated light fixtures! Kitchen Entry Garage-Great for loading & unloading! Freshly painted floor & newer, insulated door! Enormous Basement-Gigantic basement has enough room to accommodate everyone; workout room, rec room, media room! HUGE Deck-Across entire rear of the house! Freshly painted! The day’s troubles will disappear as you relax in nature’s realm! It’s the party deck; holds all your guests! Just Listed – East Cobb Entertainer’s Delight!! Renovated 3 Bedrooms / 2 Baths & Pool! Awesome Remodel- Fantastic flow & upgrades galore! Amazing value for East Cobb! Kitchen – Opened to living & dining rooms, granite counters, tile back splash, island w/cook top & breakfast bar, pantry, recessed lighting, hardwood floors & tons of space! Dining Room – NEW chandelier adds elegant touch! Super convenient built in china cabinet! Living Room – French doors lead to decks & pool! Fabulous Master Suite –Hardwoods & crown molding! Gigantic Great Room – Features cozy fireplace! Marvelous Master Bath – Former 4th bdr converted to spa like bath; Kohler Serif Suite soaking tub & sinks, dbl vanities, framed mirrors, his/hers closets & more! Large Bedrooms – W/fans & walk-in closets! 2nd Bath – Tile floor & tile shower! 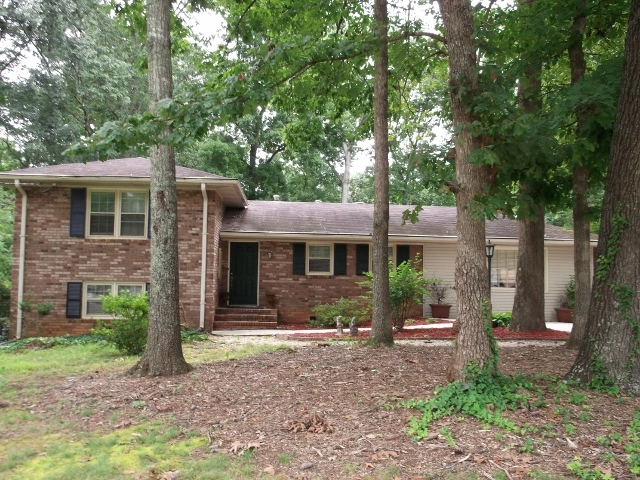 Entertainer’s Paradise –Escape to your private, wooded, fenced backyard with multi level decks & a Pool with new liner! Everyone will want to visit & never leave-entertainer’s will love this space! Detached Workshop-Well insulated with electricity! Quiet Street- Near end of a dead end street, minimal traffic & much safer for kids at play! 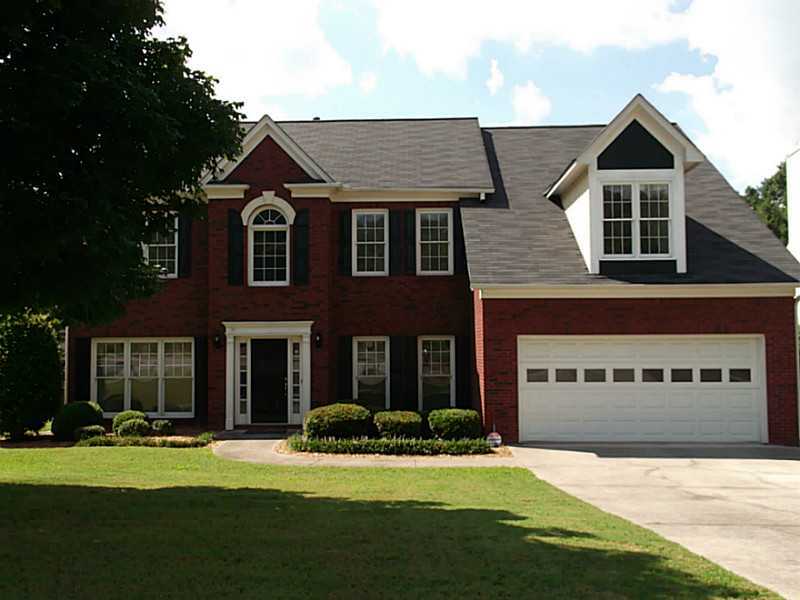 Sought after East Cobb Schools! Great Location-Minutes to I-75, shopping, dining, East Cobb Park, White Water & Chattahoochee River! Recently Renovated 4 Bedroom 2.5 Bath! Tons of upgrades – Appx $20,000 in recent updates! NEW Bamboo hardwoods, no wallpaper, interior freshly painted & more! Move in ready! Inviting Foyer-NEW chandelier & Bamboo hdwds! Kitchen – Open to family room w/NEW granite counters & back splash, NEW undermount sink & plumbing fixtures, island, gas stove/oven, & pantry! Breakfast Room – Off kitchen w/French door leading to patio & back yard! Great Room – Features cozy fireplace & NEW fan! Dining Room – off kitchen-excellent for entertaining! Formal Living Room –Just off foyer, freshly painted! 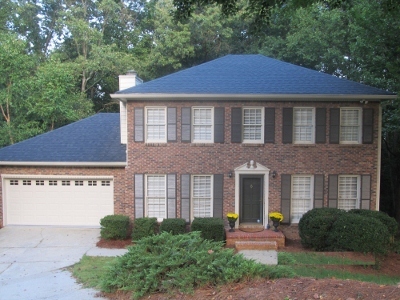 Fabulous Master Suite – Enormous room w/trey ceiling, crown molding, NEW ceiling fan & wall of windows overlooking backyard! Marvelous Master Bath – Garden tub, separate shower w/NEW tile & seamless door, dbl vanity w/NEW lighting & plumbing & framed mirror! Large Bedrooms – W/fans & big closets! 2nd Bath – Tile tub/shower & partial tile floor ! Laundry Room – Conveniently located upstairs! 2 Car Garage – Kitchen level entry! Fenced Back Yard – Gigantic, level, corner lot with plenty of room for the whole family, garden & more! Sought after swim/tennis community – Parents & kids alike will love the easy access to the pool! Come tour this fabulous home during the OPEN HOUSE this SUNDAY from 2:00-5:00!!! How a lease/purchase really works….. The topic of lease/purchases (L/P) comes up at least once a week. There seem to be masses of misunderstandings about how a L/P really works and thought it might be helpful to explain the process. The most common misconception about a L/P is that the tenant rents with the intention of asking the landlord to purchase the house in a year or so. The problem with that approach is no purchase terms have been specified. Lack of details, in writing, can lead to retention issues about what was discussed a year or so ago or the possibility of either party changing their minds. In a true L/P both the lease and purchase contracts are signed simultaneously. The price and other details of the purchase including the future closing date are agreed upon at the same time as the lease terms which eliminates the previously mentioned pitfalls. The next most frequent fallacy is the belief that the deposit is the same for a L/P as in a rental situation. Experienced Investors generally require a significant, non-refundable deposit to insure the sale commences come purchase time. The goal is to sell the property, not just rent it to someone who is test driving the neighborhood or who didn’t do what they were supposed to do to establish or improve their credit. A non-refundable deposit of as much as 5% to 20% of the purchase price is enough incentive for most people to fulfill their commitment to purchase. A L/P will also include a due diligence period for inspections (house, radon, lead paint, etc). All inspections are done prior to the taking possession of the property. The prospective tenant/owner must be aware of the condition of the property before committing to a purchase. A year after occupying (& committing to buy) a home is not the right time to learn there are structural issues that are deal breakers. Additionally, proving these conditions existed prior to possession can be difficult a year or so later. Especially since the new tenant/owner is usually responsible for property maintenance during the lease term. The landlord could say the property was not properly maintained. Lastly, a portion of monthly rent does not always contribute toward a purchase down payment. This is totally negotiable and may or may not be part of the transaction. Last week one of the strangest things that’s happened in 12 ½ years as a Realtor® occurred & I wanted to share the story with you for several reasons. First, the story; apparently I did such a good job of marketing my listing that some nefarious individual elected to “hijack” the listing and misrepresent it as a rental. The house has been totally renovated from top to bottom with new siding, windows, roof, HVACs, hardwood floors, updated baths, kitchen, screened porch, wrap around deck, greenhouse, driveway & landscaping. The house is in a great location; about a 2 minute drive from the Chattahoochee River (people in good shape could walk it). This naughty person posted this awesome listing on Trulia, Craig’s List & Hot Pads as a fully furnished rental for only $1300/month, including utilities. If that sounds too good to be true; you’re right, it was a total myth. A lot of the excited tenants realized it was a scam after speaking with the “landlord” who was supposedly out of town and requested they send him a deposit to secure the home. BTW, the “landlord” was also using someone else’s identity. The lesson here is; “if it seems too good to be true, it probably is”. 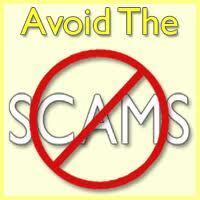 NEVER send deposit money to anyone without meeting them in person and viewing the property first. This landlord would have never been able to show the house without an actual house key or agent lockbox key. Also, be wary of listings that are posted by someone other than a licensed Realtor® on the popular home sites open to the general public. Only authentic Realtor® sites like the First Multiple Listing Service (FMLS), Georgia Multiple Listing Service (GAMLS) and Realtor.com can be deemed as providing reliable information because Realtors® are bound by a code of Ethics. Additionally, Realtors® would not risk damaging their reputations and livelihoods for something like this. The best way for sellers and landlords to protect themselves from predators is to hire a licensed Realtor®. The electronic lock boxes Realtors® use (Supra lock box) which contain the key to the house can only be accessed by a licensed professional who owns a Supra access key. Each Supra key has a unique identification number that enables us to identify the key holder. Realtors® can check showings in real time, online. Therefore we can tell our clients exactly who has been in their house. You can also rest assured that visitors accompanied by Realtors® are qualified.